Around 80% of auto accidents take place due to as little as three seconds of driver inattention. You must have noticed people using mobile phones, playing video games, taking food or even applying makeup inside the car. A recent study found that such seemingly harmless distractions increase the risk of car accidents to a great extent. In fact, around 80% of auto accidents and 65% of near-crashes take place due to as little as three seconds of driver inattention, according to a study by the National Highway Traffic Safety Administration and the Virginia Tech Transportation Institute. As expected, the study found that young drivers are more susceptible to auto accidents due to distraction. The researchers installed cameras and sensors inside the respondents’ cars to monitor driver’s behaviors at the time of the accident. The study found that reaching for an object inside the car can increase the risk of accident like nothing else can. In fact, a car is exposed to nine times higher risk of accident when the driver of the car makes an attempt to reach for an object inside the car, according to the study. 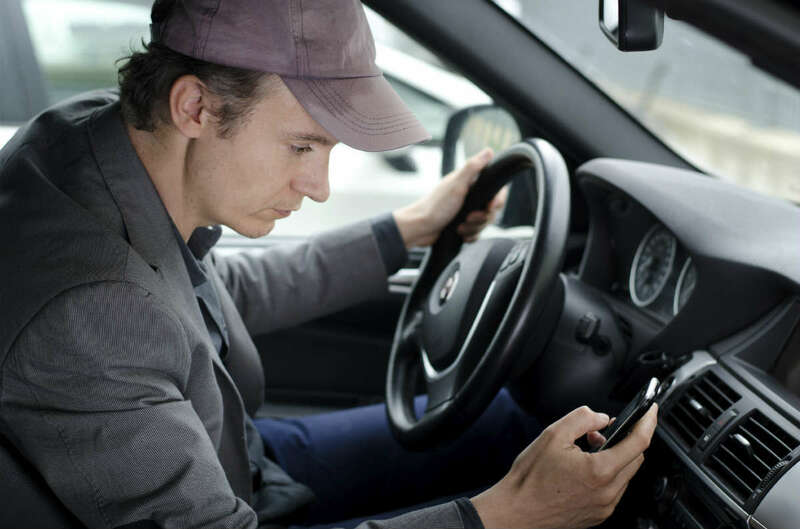 In general, we all know that talking on the phone and text messaging while driving are common causes of auto accidents. However, the study says that driver inattention may be caused by several other reasons. For instance, the study found that the following activities may cause driver’s distraction and increase accident risks by three times. However, mobile phone use was found to cause driver’s inattention in most cases. Even talking or listening on the phone while driving can increase the chances of an accident occurring. Still, dialing is more dangerous because accidents due to dialing occur more often than accidents due to talking or listening occur. The study found that talking over phone increase the risk of a crash or near-crash by 1.3 times, dialing a handset by nearly three times, applying makeup by three times, reading by around three times, looking outside by 3.7 times, and trying to reach for a moving object by nine times. Previous studies revealed that using cell phones while driving increases the risk of an auto accidents considerably. Moreover, teenagers are exposed to higher risk of being involved in an accident due to taking over phone while driving. Drivers in the age group of 15-20 account for only six percent of all drivers but are responsible for 14 percent of all police-reported crashes and 10 percent of all deaths in road accidents. According to the collaborative study by the National Highway Traffic Safety Administration and the Virginia Tech Transportation Institute, young drivers are exposed to seven times higher risk of crashes and near-crashes while dialing or reaching for a mobile phone, and four times higher risk of crashes and near-crashes while sending or receiving a text message. Earlier studies found that older drivers are also exposed to higher risks of being in an accident when they choose to dial a mobile phone while driving. What is frightening is that more and more young drivers are engaging in distractions while driving. If you have been injured in an accident caused by a distracted driver, get in touch with an experienced auto accident lawyer at The Hoffmann Law Firm, L.L.C. We can evaluate your case for free and help you determine what your options are for receiving compensation.